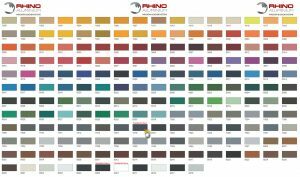 Standard colours – Anthracite grey RAL 7016 / White Hipca RAL 9910 / Black 9011 – are always available off the shelf at Rhino. 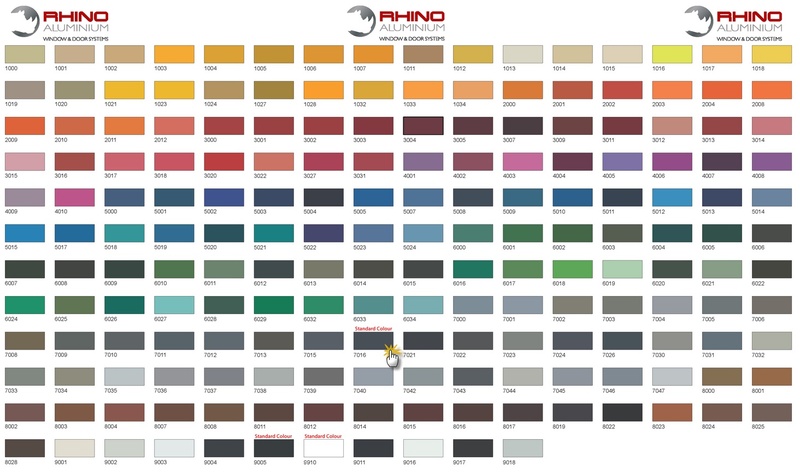 Special colours (any other RAL colour) and Dual colour (white inner frame and grey outer frame for example) do carry a lead time of 5-6 weeks with an additional cost. Please contact the office to discuss this in detail. 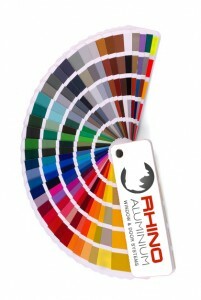 If you require an other of the 5000 RAL colours available then there is a £240 colour supplement. If you require a dual colour (Black outside White inside for example) then there is an additional £480 across the order. Call the Rhino Office now where our expects will guide you through your options.